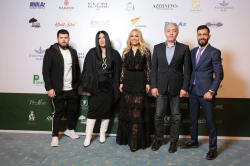 The first qualifying round of Miss & Mister Planet Azerbaijan 2019 was held at the Winter Park Hotel Baku. 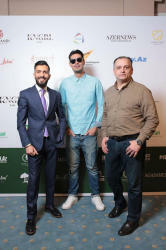 Afag Ismayilzade and Ulker Huseynova, choreographer Mubariz Allahverdizade, journalist Vugar Vugarli, the head of Mario Russo Baku, Ruslan Mammadov, head of Kəngərli Group Jalal Kangarli, models Ilgar Aliyev and Narmin Safarova, blogger Ramin Musayev, fitness trainer Sabina Maharramova, winners of the Miss and Mister Planet 2016 and 2018, title holders of Mister Planet Yusif Jafarli and Emil Gasimov as well as the participant of the competition Zuleikha Oruj. The evening was hosted by Medina Abdullayeva. The winners will take part in the international final of the Miss and Mister Planet 2019 in Thailand this September. 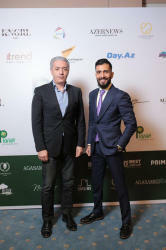 The national and international project director in Azerbaijan is Agil Mamiyev. 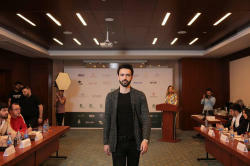 The project director is Perviz Azimzade, main producer-Sadig Jafarov, advertising director-Nijat Huseynzade. To participate in the second qualifying round, please contact: +994 50 500 66 33.